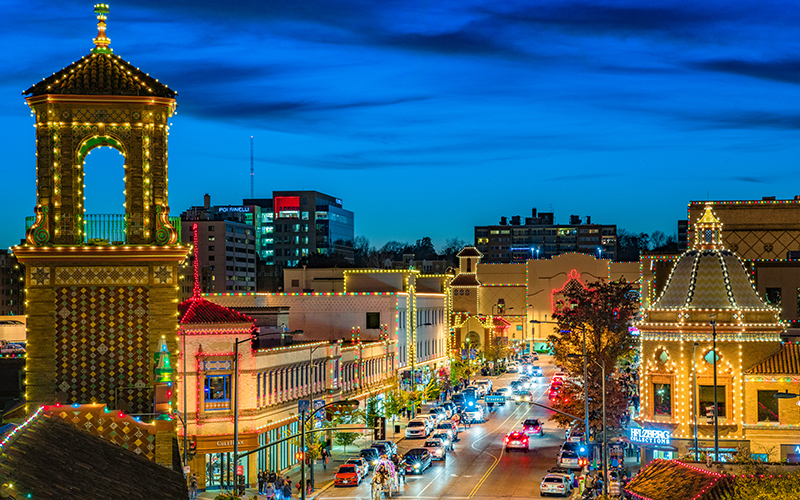 Spend a weekend in Kansas City during the holidays and you’ll see just how magical the City of Fountains is during the most wonderful time of the year. 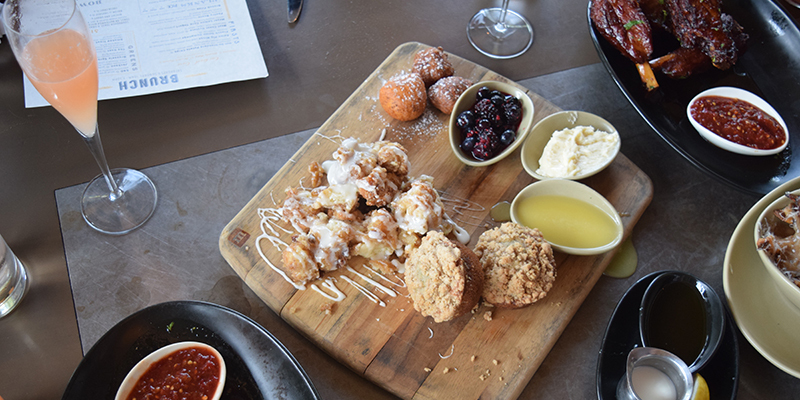 Start your weekend off right by brunching at Gram & Dun or Hogshead, two modern American restaurants located on the Country Club Plaza and known for crave-worthy menus. 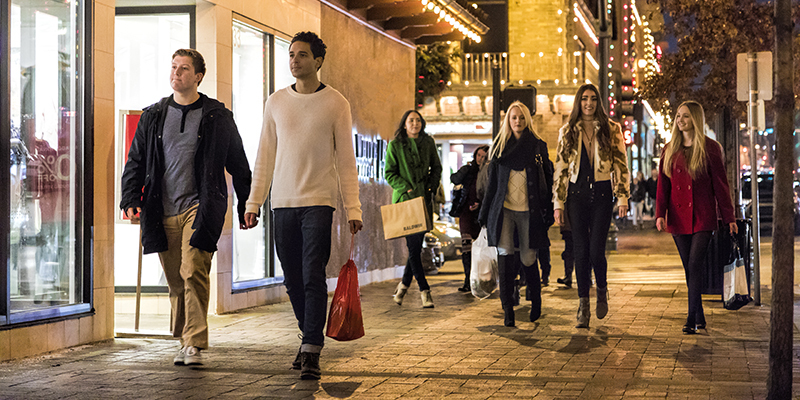 Afterwards, swing by shops and boutiques at the Spanish-inspired Plaza to finalize your gift-getting at high-end and local retail hubs. And don’t worry about missing the lights—you’ll be back later. 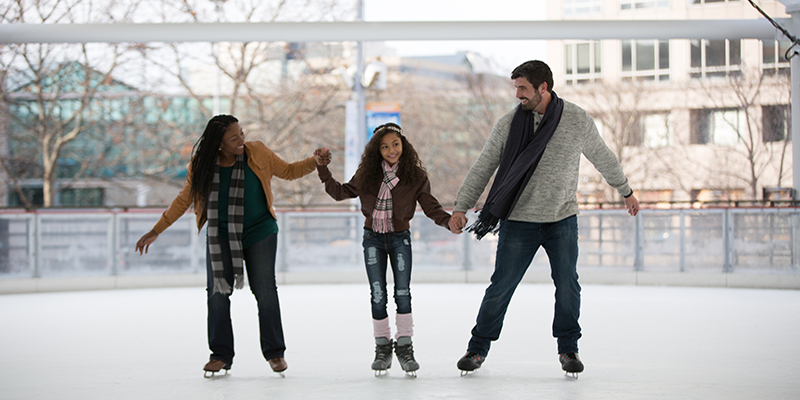 Lace up your skates and hit the ice at the Crown Center Ice Terrace, a winter tradition that’s perfect for all ages. 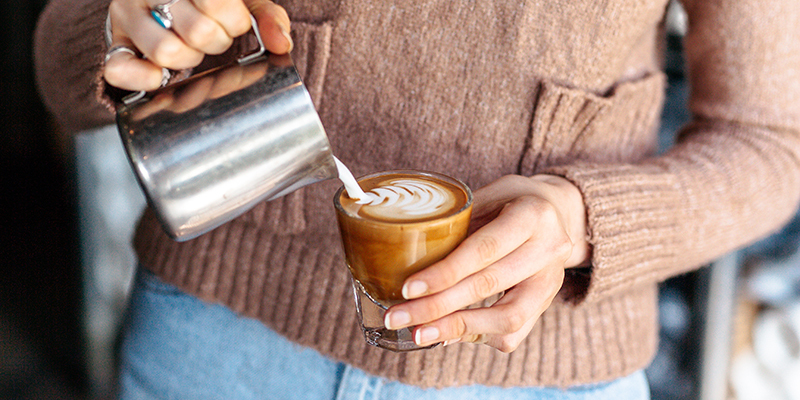 When you’ve had your fill of skating, get caffeinated and grab a bite at one of KC’s stellar coffee shops, like Messenger Coffee Co. (nestled in the heart of the Crossroads Arts District) or The Filling Station (located inside Crown Center). 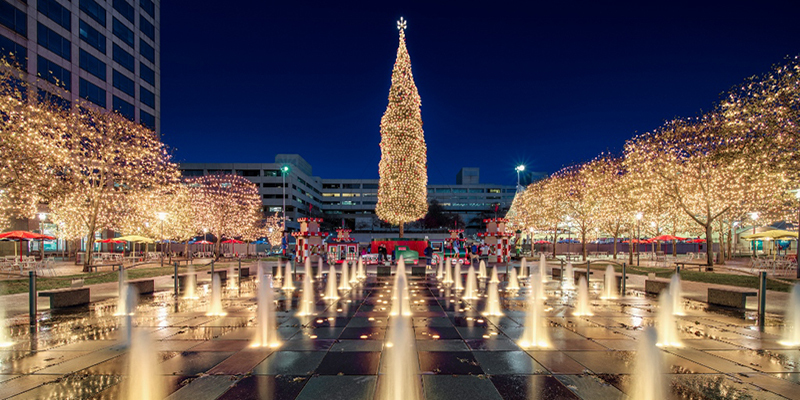 Start your night by returning to Crown Center, where you’ll find the jaw-dropping Mayor’s Christmas Tree, which towers at 100 feet high and illuminates the entire district. 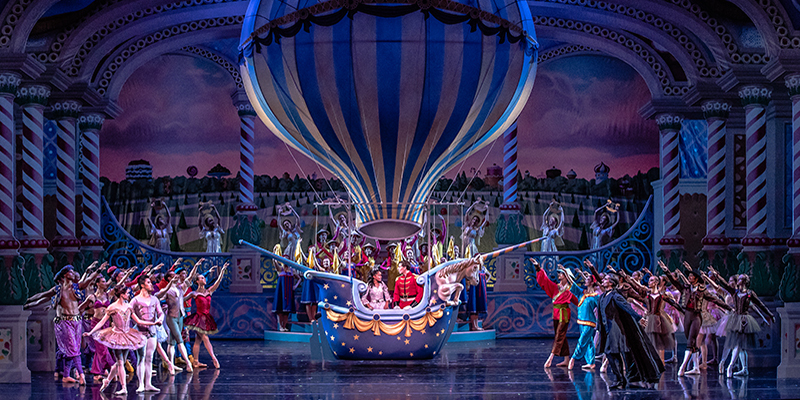 After snapping pics and taking in the seasonal splendor, make your way to the Kauffman Center for the Performing Arts, a stellar venue that features outstanding winter performances, including Handel’s Messiah, Christmas Festival and Kansas City Ballet’s The Nutcracker. 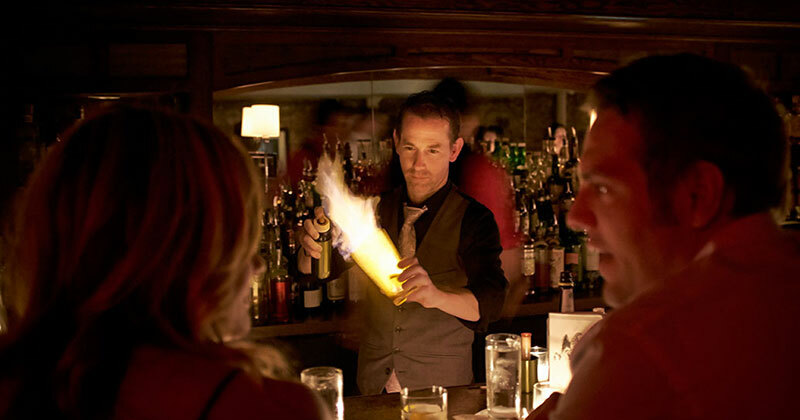 Head underground for a nightcap at Manifesto, a secluded speakeasy known for craft cocktails and high spirits, or late-night glasses of vino at Tannin Wine Bar + Kitchen, located just steps away from the energetic Power & Light District. 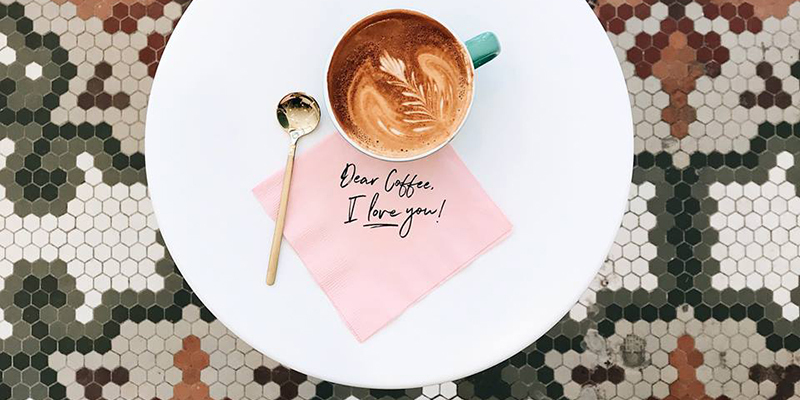 Start your morning slowly with a cup of coffee from the Made in Kansas City Café, where you’ll find locally made souvenirs (ideal for last-minute presents), pastries and caffeine pick-me-ups from regional roasters—plus the shop’s signature cereal milk lattes. 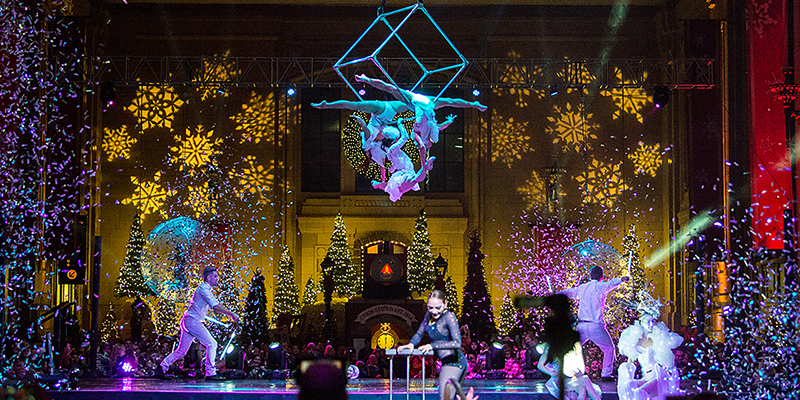 Once you’re properly fueled, catch the KC Streetcar and roll down to Union Station, an architectural wonder that’s decked out in seasonal splendor thanks to a larger-than-life Christmas tree and timeless decorations. 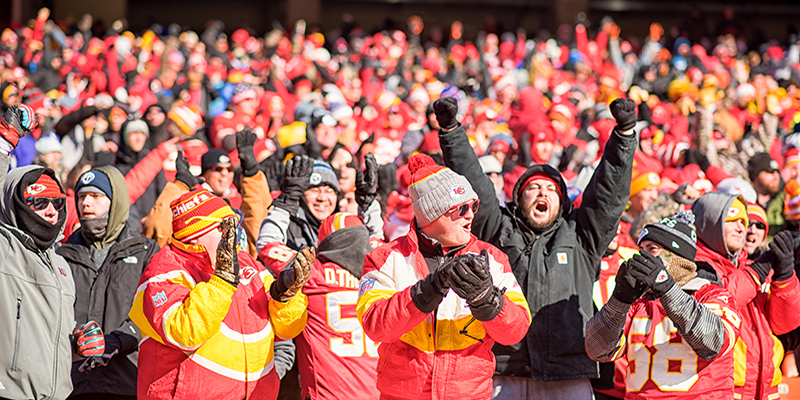 If the Kansas City Chiefs are in town, don your red and yellow and head to Arrowhead for the most enthusiastic tailgate culture in the country. Come kickoff, you’ll join tens of thousands of fellow fans cheering on the boys in red to gridiron glory. Those in search of brunch and lunch will find no shortage of options in the area. 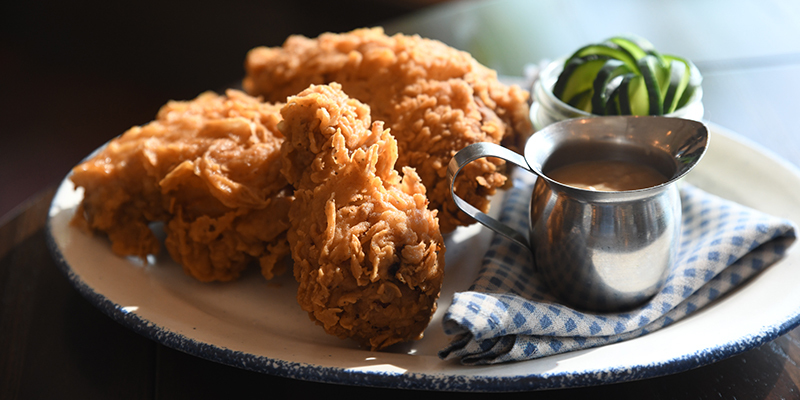 Head to Rye for down-home comfort food, Mission Taco Joint for street-style tacos or, if you can’t decide, make your way to Parlor, a food hall featuring multiple cuisines and stylish digs. Holiday cheer is in abundance at Worlds of Fun as the amusement park transforms into WinterFest, a cozy village that comes complete with a nightly tree lighting ceremony, live shows, ice skating and so much more. 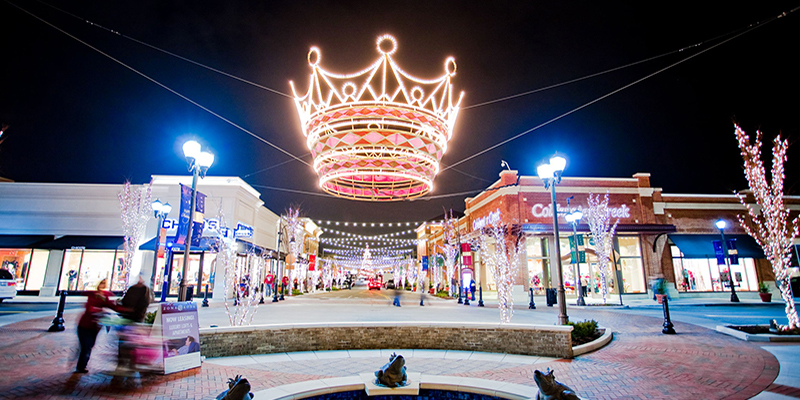 While up north, stop by Zona Rosa for gifts and a look at the merry and bright Northern Lights crowns, a suspended lighting installation that illuminates the entire shopping district. Finish up in style by admiring the Plaza Lights, an annual favorite dating back nearly 100 years and fitting end to a perfect holiday trip.